Description: Our local magician, Sawyer Bullock will be bringing his “Sawyer Bullock Magician Ordinaire” at Simcoe Street Theatre in Collingwood on June 23rd and 24th. Sawyer is an international award-winning performer who will dazzle you with his humble, charming and unique magic show in his trademark style which have been seen in Las Vegas, Dominican Republic, Canada’s Wonderland and on his own television show “Up My Sleeve” on Rogers TV. Currently Sawyer is in his fourth year at Tynsdale University majoring in philosophy. On this week's BEACH CORNER, Sawyer tells us about his upcoming magic show and being a magician. 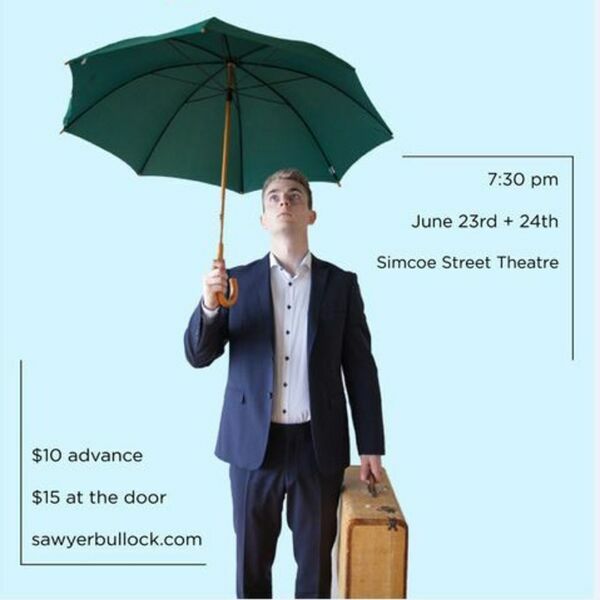 Our local magician, Sawyer Bullock will be bringing his “Sawyer Bullock Magician Ordinaire” at Simcoe Street Theatre in Collingwood on June 23rd and 24th. Sawyer is an international award-winning performer who will dazzle you with his humble, charming and unique magic show in his trademark style which have been seen in Las Vegas, Dominican Republic, Canada’s Wonderland and on his own television show “Up My Sleeve” on Rogers TV. Currently Sawyer is in his fourth year at Tynsdale University majoring in philosophy. On this week's BEACH CORNER, Sawyer tells us about his upcoming magic show and being a magician.